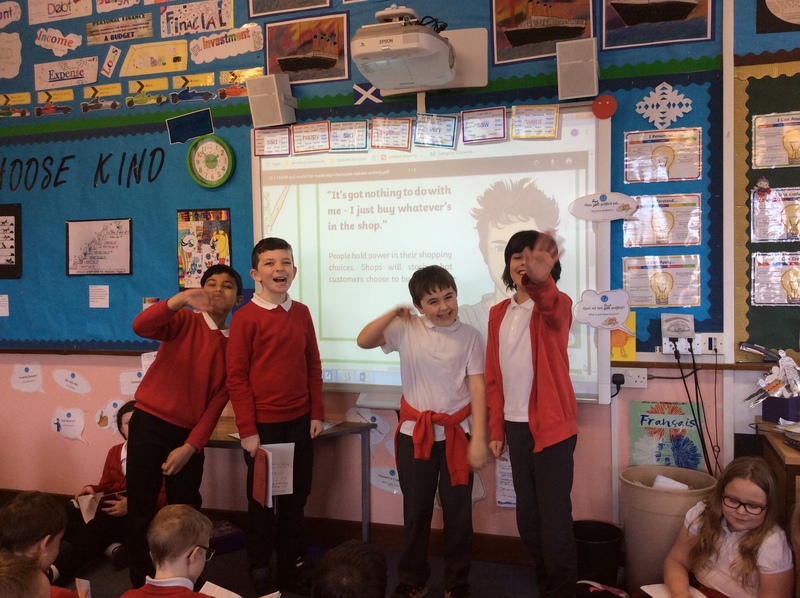 Room 9 is learning to adapt their skills of persuasion to create debates. 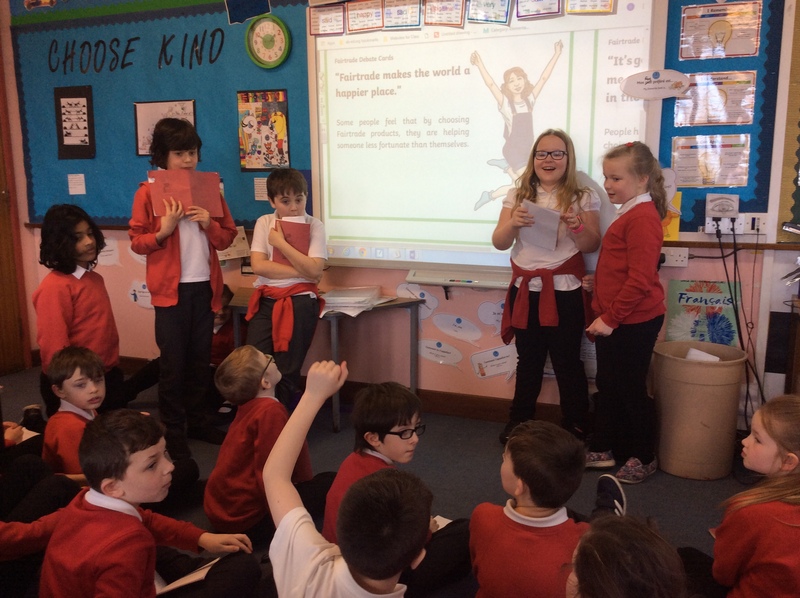 As part of Fairtrade Fortnight, teams worked to come up with arguments for and against some beliefs which people have about fairtrade. 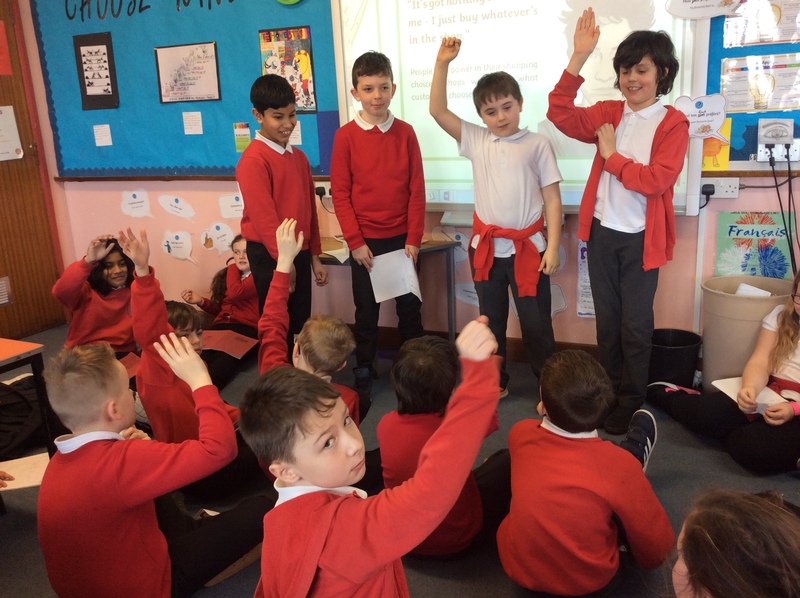 Now, they are debating it out, with their peers making informed decisions and voting for who they will side with. Getting up in front of others to debate is not always easy to do, so I am very impressed with Room 9’s first real attempt.